No one could ever see something like this coming. 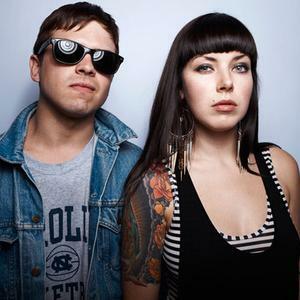 In what is definitely a surprising announcement, Sleigh Bells have to cancel their spot at Pygmalion Music Festival this year becaue lead guitarist Derek Miller recently suffered a "sustained injury." This news comes just ten days before they were slated to perform at Canopy Club next Thursday, September 27th with Psychic Twin, The Dirty Feathers, and That's No Moon. Now what? Well, call in one hell of a replacement, that's what. 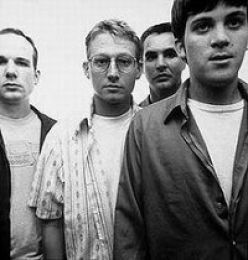 HUM will perform in their spot that Thursday night, marking their debut performance at C-U's festival. It's unfortunate that Sleigh Bells won't be able to shred their guitars for us this year, as they would surely have made a lot of noise at Canopy opening up the festival on Thursday. However, not all is lost, and after seeing Braid make a performance at last year's festival as local-heroes-reunited, in a way it's pretty awesome that we're seeing this happen. For those of you who aren't as familiar with these guys, take a look at their shoegaze glory below via some videos. Although the band doesn't play often, they haven't exactly been dormant. They had a handful of shows last year, and their last performance in town came at The Highdive with Diabase on September 9, 2011. Ben had an interview with leadman Matt Talbott about the whole thing before they played, in which Talbott spoke of their sporadic appearances. They've always said their performances will be spotty and random, and this is as last-minute as these type of things can get. Per our "Top Live Shows of 2011" article linked above, we thought it was one of the best shows last year. Surely some of you thought it was worthy of being C-U's best show of 2011. Talbott weighed in on the news, stating, "It was a rock and roll emergency. We all happened to be available and we're really, really happy to be invited aboard. Hopefully most attendees won't be too disappointed by the replacing of an important, current, critically acclaimed artist with a Foghat tribute band." Obviously Talbott is joking here, but in all seriousness — HUM could play whatever they want and I doubt anyone would mind. The show lineup remains the same outside of HUM replacing Sleigh Bells, with That's No Moon, The Dirty Feathers, and Psychic Twin still set to open. Single show tickets will go on sale today at 10 a.m. via ETix linked here, as well as local ticket outlets Manolo's Pizza, Exile on Main St. record store, and The Canopy Club box office, per the news release.